Snow Escape Holidays Frequently Asked Questions. What is needed to make a reservation? What is my final payment due? Can I make payments for my holiday? How do I get confirmation of the reservation? What do we do on checkout? How many guests can stay at a property? Does the property have heating or airconditioning? Does the property have a kitchen & what is supplied? Does the property have a linen & towels provided? Are there cleaning supplies in the property? Parking for extra cars or buses? How long has Snow Escape Holidays been in business and is it licensed? Is there transport to the ski resorts from my accommodation? When you find the holiday home of your choice,you can either reserve the property online or speak with a member of our Reservations Team at 1300 916 454. When making your reservation, we require a 50% deposit. The remaining balance or the final payment is processed 60 days prior to check-in and is non-refundable at that point. Final payment is processed 60 days prior to check-in. Does the total include all fees? Yes, the total includes the cleaning and processing fee. Is the home, town house or apartment I see on the Internet the one I get? Yes, unlike some holiday rental companies, we rent the specific property you see in full detail on our website. We believe that this is the best way to ensure you will be happy with your Jindabyne accommodation. Can I make payments towards my reservation? When is check-in and checkout time? Check-in time is after 3PM. Since we want to ensure everything is in good working order to make your stay enjoyable, please note that you will have access to your property at that time.Our office is open until 6PM in winter. Please make sure you plan to arrive before this time. Again, to ensure that everything is pleasant and enjoyable for those arriving after your departure, we ask that you depart the property and return the keys to our office before 10AM on the date of your check out. Daily charges will apply for guests remaining after this time. If you have returned your completed "E- Signature Holiday Rental Agreement" you only have to produce a valid photo ID and a valid credit card only (no debit card) for your security paperwork. NOTE: For security reason, only the person whose name appears as the reservation name can collect keys and finalise check in, unless prior arrangements have been made. Changes - If you change your reservation, a $200 change of reservation fee plus any tariff change with the new dates. No changes can be accepted within 60 days of your arrival. Cancellations - If a reservation is cancelled more than 60 days prior to arrival - full refund less $200 cancellation fee. If a reservation is cancelled within 60 days of your arrival - no refunds. AirBnB Reservations - We use the AirBnB "Super Strict 60" policy. Please refer to link for terms and conditions. We suggest you have Travel Insurance for your holiday. Click on link for quote. How will I receive my confirmation and arrival instructions from Snow Escape Holidays? All confirmation and arrival instructions will be sent via email. To make certain you receive these emails, please adjust your spam filter to add the domain snowescapeholidays.com.au to your list of accepted email addresses. You will receive a reservation confirmation email within 3 hours of making your reservation. Expect a second email with a list of attractions and activities for the area prior to arrival. An "E-Signature Document" containing our Holiday Rental Agreement will be sent a few days before arrival. It must be completed prior to arrival.You will then receive a courtesy phone call 24 hours before your arrival with directions to our office for key collection. If you have not received these emails and you have adjusted your spam filters, please contact our Guest Services Team at 1300 916 454. Yes. If you leave something behind on your visit and we find it, we can arrange to have it shipped back to you. For more details, contact our Guest Services Team at 1300 916 454. We just ask that you lock all windows and doors turn lights & heaters off and return your key to our office. The property must be left clean and tidy as per our Terms and Conditions. There are tips for your departure in the house manual in your rental and we will send you an check out email 24 hours before your departure. Due to Council and Fire Regulations - Total Guests cannot exceed the number quoted in each property description. Exceeding this number will result in forfeiture of all monies and eviction from the property. Although we at Snow Escape Holidays are pet lovers, we cannot allow pets in our holiday properties unless the property is an approved pet friendly property. All of our holiday homes, town houses and apartments have heating. Some are air conditioned for summer. Please refer to the property description page for more information. We request you turn off lights as you leave for your days activities and during winter turn heaters down to low. This will enable owners to keep costs to a minimum and our tariffs will not have to increase with extra power bills! Is there a fully equipped kitchen in the holiday homes, town houses and apartments? Yes, every holiday home, town house and apartment has a fully equipped kitchen. Please refer to each individual property page for a specific list of kitchen and home amenities. We supply coffee/tea & hot chocolate, sugar and milk plus pepper/salt. - Due to potential guest alergies to certain foods, we cannot provide cooking oils, sauces or spices in our holiday properties. Jindabyne has a large Woolworths to purchase these items. Yes, there are luxury linens and towels provided in each home. All bedding is provided and 3 x bath 'sheets' are supplied to double, queen and king beds. You will also receive our designer shampoo, conditioner, bath wash.
Are the holiday homes cleaned daily? No, our homes are cleaned before your arrival and after your departure. You can request a mid-stay clean or just a linen change at an additional charge. Just contact housekeeping for a quote. A mid-stay clean includes changing all sheets and towels, cleaning the bathrooms and kitchen area, vacuuming and dusting, and refreshing your bathroom, kitchen and cleaning products. Unlike most agencies we do not supply “Starter Packs” of toilet paper, dishwashing tablets, laundry detergent etc. You will have enough of these things to last your entire stay. If you should run out just call our housekeeping staff (1300 916 454) and they will deliver more. There is a mop, broom, dustpan, vacuum, iron and ironing board in the property. Our homes also include a washing machine, dryer, dishwasher (most properties). We use 'Koh' products for all our cleaning. A spray bottle is supplied in each kitchen for guests to use as a surface cleaner for benchtops. Koh is an Australian invention and is enviromentally friendly with No Toxic Chemicals!! Koh is approved by the Asthma Council of Australia. Yes, all of our properties are non-smoking. Smoking is not permitted on balconies or within 3 metres of the front door. Is parking available for multiple cars, buses or trailers? If you and your group will be arriving with more than two vehicles, or any oversized vehicles, please call our Guest Services Team in advance of your arrival to inquire about the parking availability for the home you have rented. Also, please inform any guests who might be visiting for the day or evening that parking is very limited. Typically, there is no parking available at our properties for mini buses or trailers. Please contact our Reservations or Guest Services teams if you need to make specific parking arrangements. How long has Snow Escape Holidays been in business? Snow Escape Holidays was established in 2009. We are also a full service real estate agency under the Ray White corporate name. We are members of local, state and national holiday rental managers’ associations; tourism groups; chambers of commerce; and other groups. Is Snow Escape Holidays licensed? Yes, we are licensed by NSW Department of Fair Trading as a real estate agency. All monies collected is deposited into our Government protected Trust Fund. Our office hours are from 9 a.m. to 6pm during winter 7 days. Summer hours are Mon – Fri 9 a.m to 5 p.m. Summer Saturday 10 a.m. to 2 p.m. Closed Sunday's in the summer months. You will be given access to our Emergency Phone Number for your stay, in the event of any urgent problems outside of office hours. How close are the homes and apartments to area attractions? In Jindabyne, our properties are a 30 minute drive to the ski resorts. 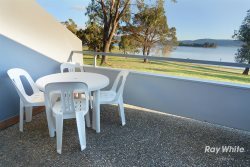 Jindabyne properties are located within a 5 minute drive to the main Jindabyne shops and restaurants. Crackenback properties are within the Crackenback Resort and next to SkiTube for winter acess to Perisher. Each vacation home’s property page includes a map indicating its specific location. Is there transportation to ski resorts and other attractions? Contact our Guest Services Team at 1300 916 454 to discuss the options available in your holiday home destination. There are a number of shuttle service and transfer companies which can be arranged between Canberra Airport and while you are here, to the resorts. We do however recommend having a car for your stay.